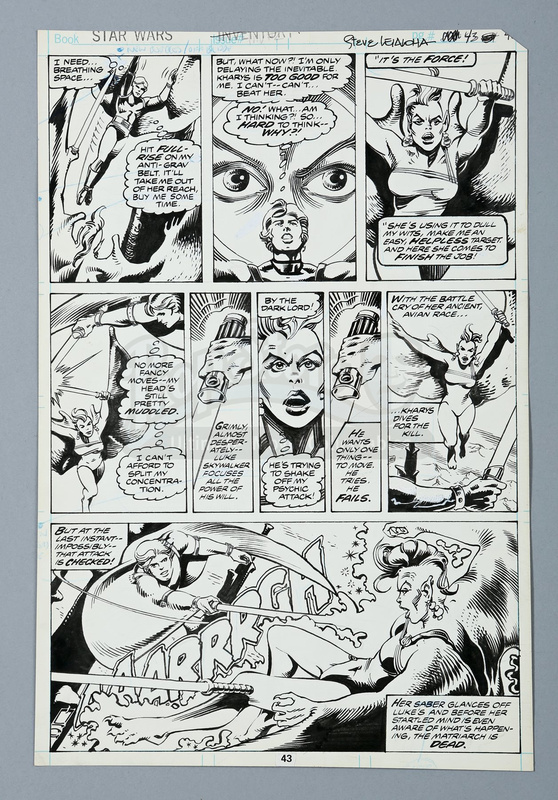 Hand-drawn page 43 artwork by Mike Vosburg and Steve Leialoha featuring Luke Skywalker and Kharys the Majestrix from Star Wars Annual #1. 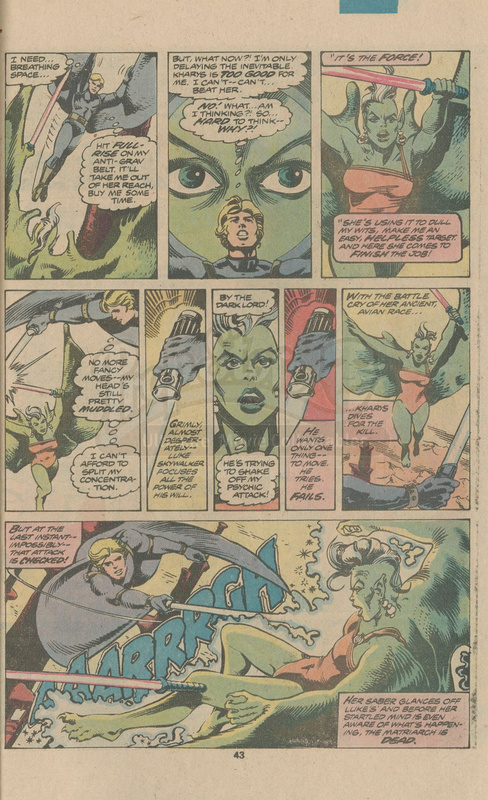 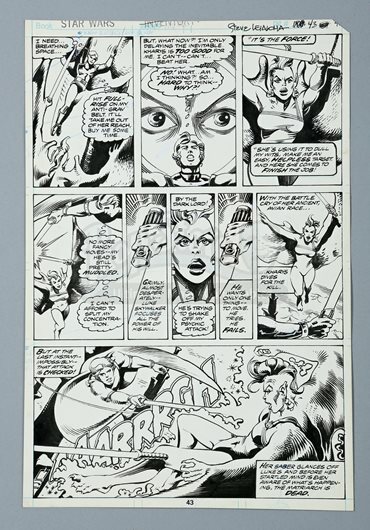 The page features nine panels showing Luke engaged in a lightsaber duel with the Majestrix. 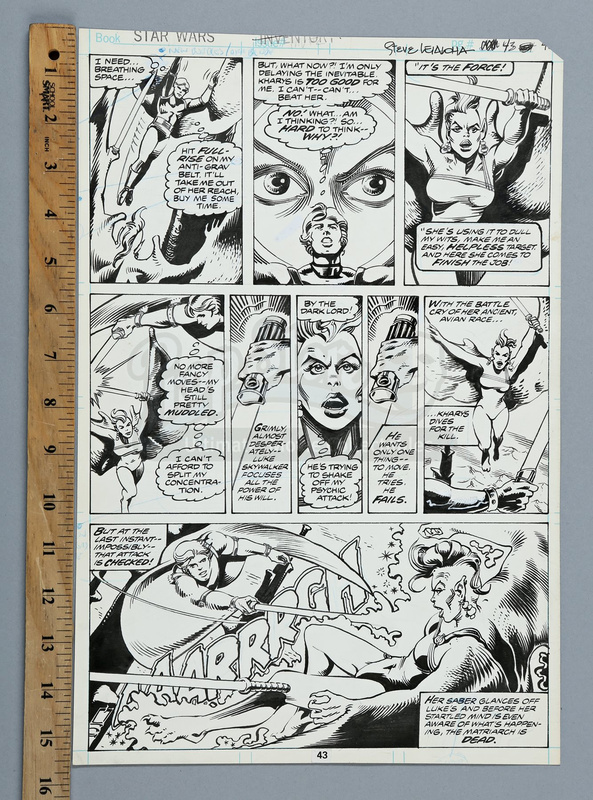 This original pencilled-and-inked artwork is drawn on illustration board by penciller Mike Vosburg and inker Steve Leialoha. 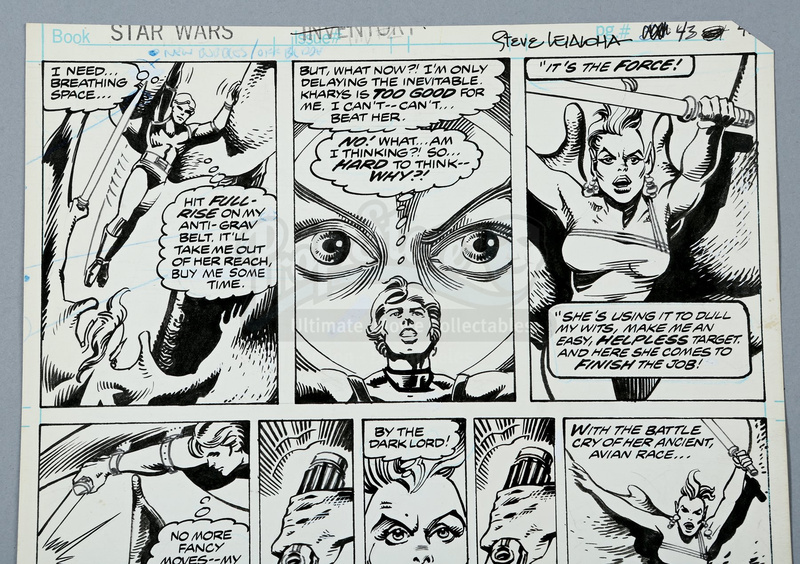 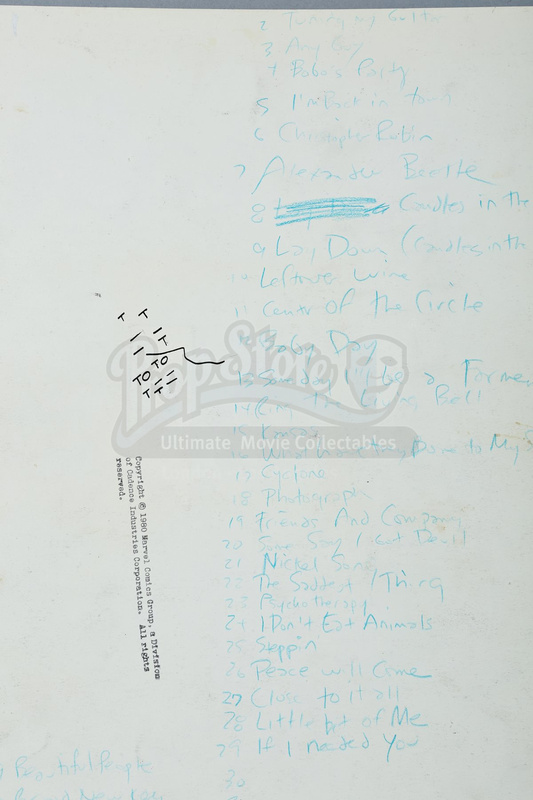 The page shows “Star Wars” stamped at the top and it has been signed by Steve Leialoha in the top right corner. 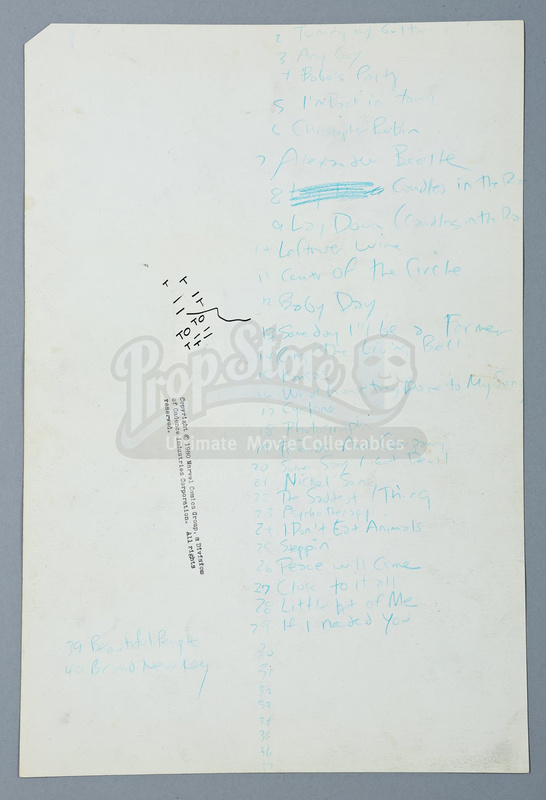 On the back of the artwork is a Marvel Comics Group stamp, along with a music playlist written in blue pencil. 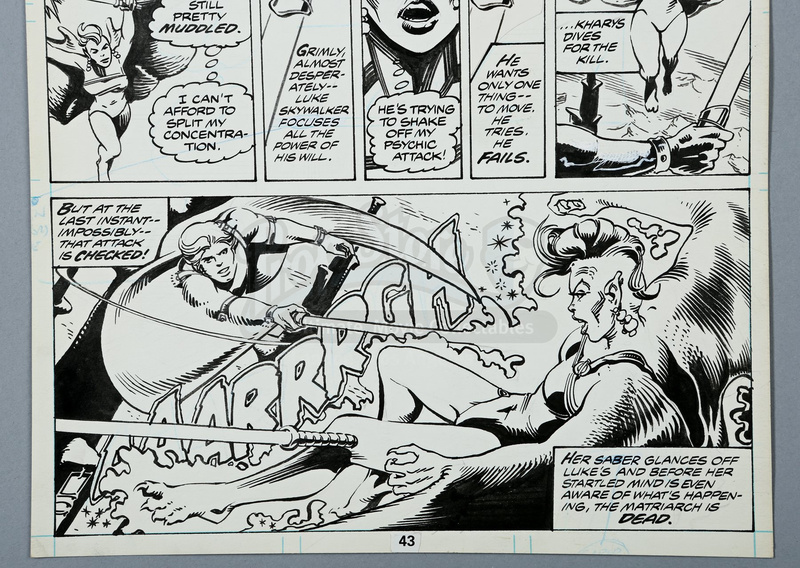 Some white-out correction fluid is present. 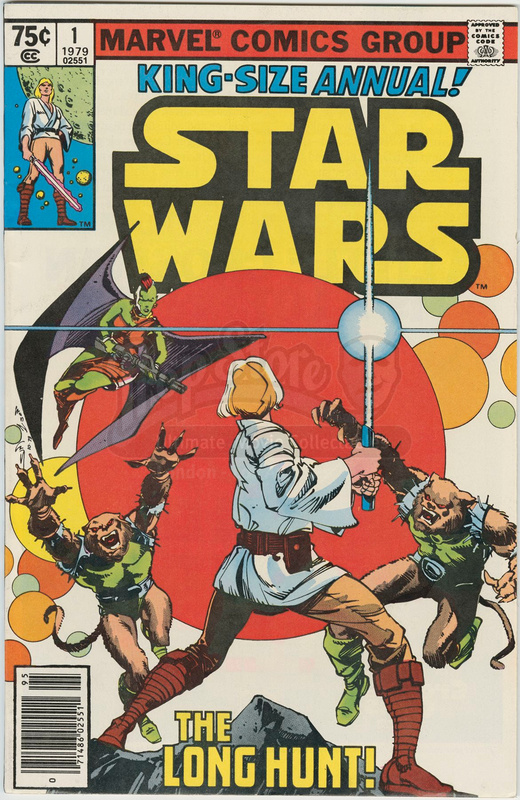 Please note this lot is sold without copyright, reproduction rights, licencing agreements or any other type of legal release.